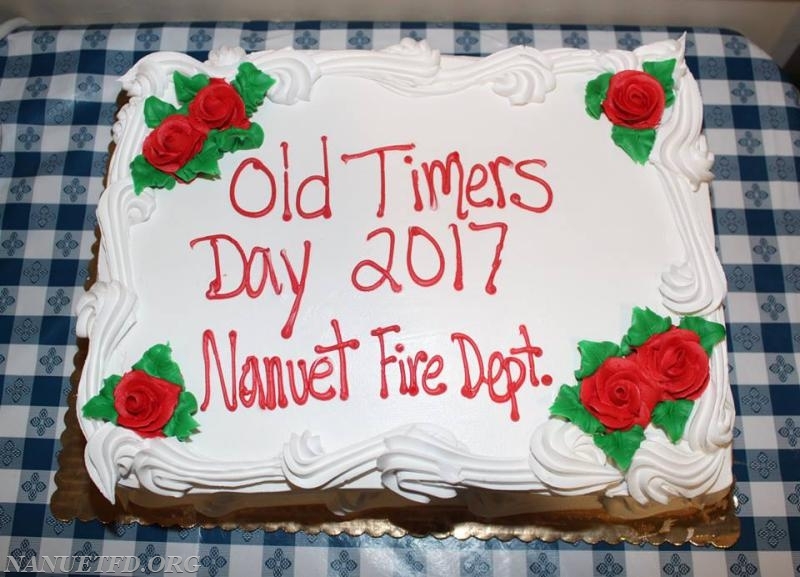 NANUET FD CELEBRATES "OLD TIMERS' DAY"
About every decade or so the Active Member's of the Nanuet Fire Department stop to celebrate what we like to call "Old Timers’ Day" Where every living life member is honored and thanked for the years of dedicated service they have provided to the community and the fire department. Life Member's are member's who have successfully completed 20 years of service to the department and are considered member's for life. 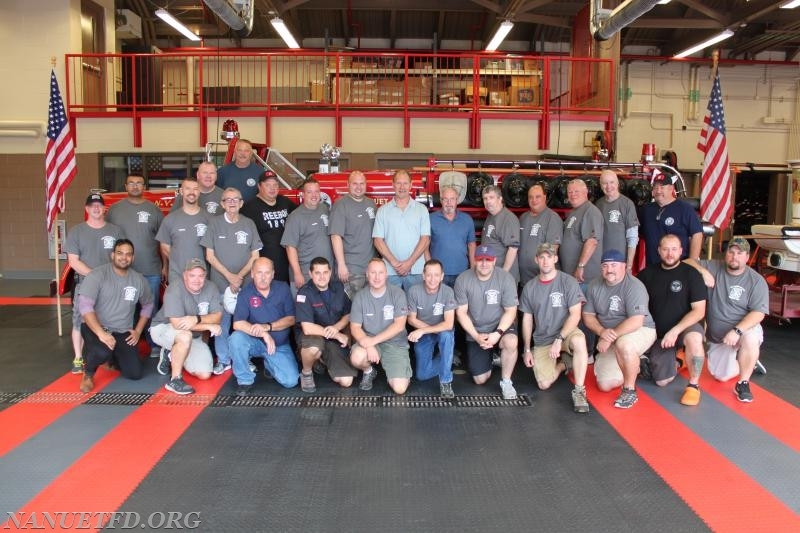 On Sunday October 8th the membership gathered at the new Old Middletown Road firehouse to hold this important occasion. 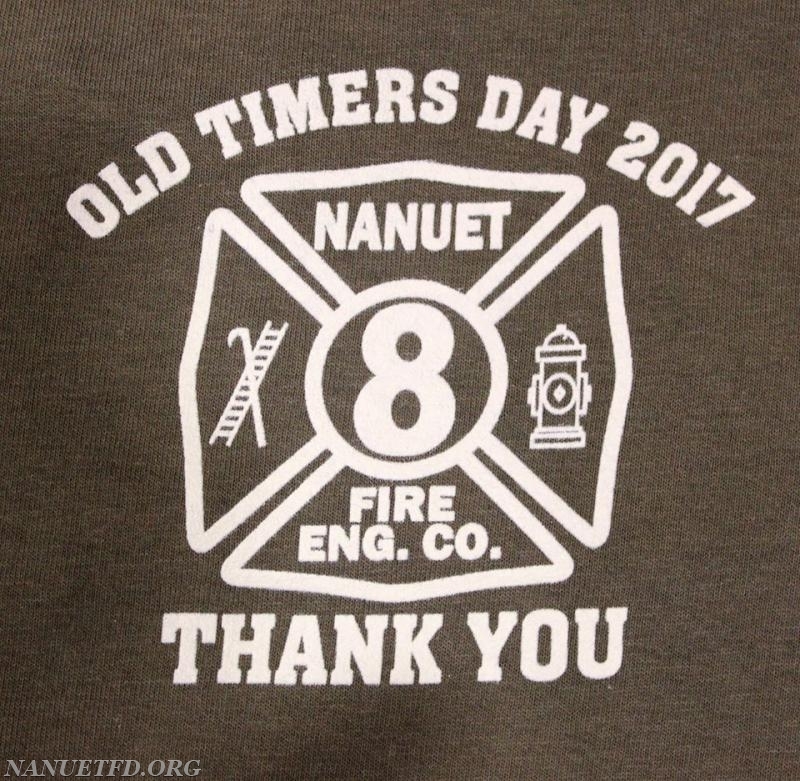 With moving into our new home this past summer it was the perfect time to bring together the past and the present for a day of thanks. 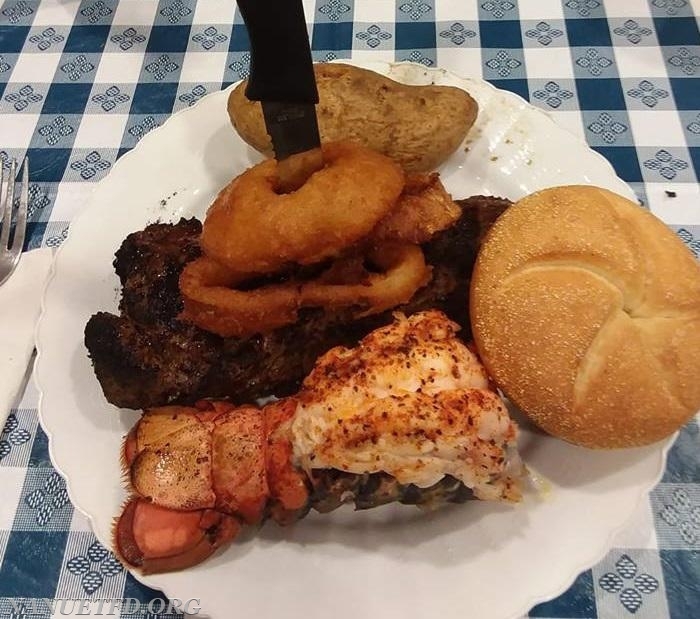 With the oldest "old timer" on hand with as much as 66 years of service to the newest one with 20 years and everyone in between it was the perfect day for old stories, football and of course the amazing sit down meal served to the life member's by the current active member's. 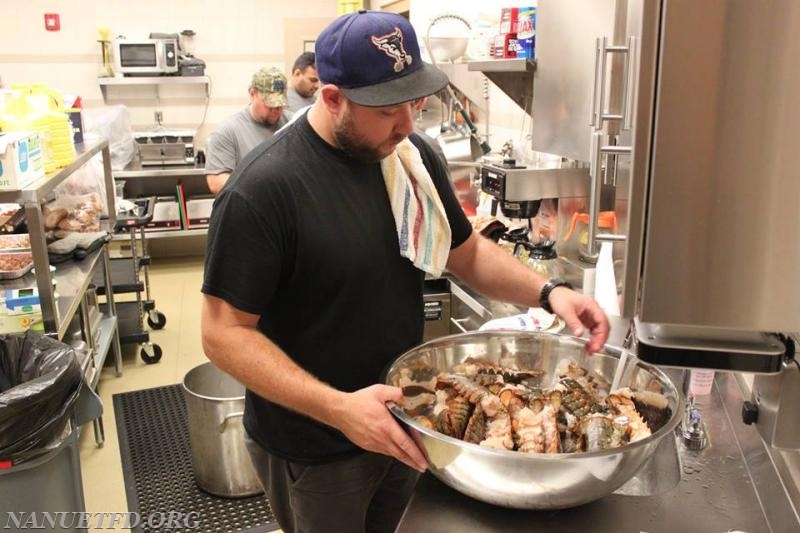 Chef Brian O'Toole with help of many had prepared a surf and turf style dinner consisting of lobster tails, steak, baked potato with all the fixings and onion rings to top it all off. "These men deserve this" O'Toole said. "They've dedicated years of service to make this department what it is today, the least we can do is serve them a great meal to show our appreciation"
In addition to all the old photo albums, the company's retired antique 8-750 a 1954 Ward La France pumper was on hand for photos and each "old timer" received a commemorative t-shirt. 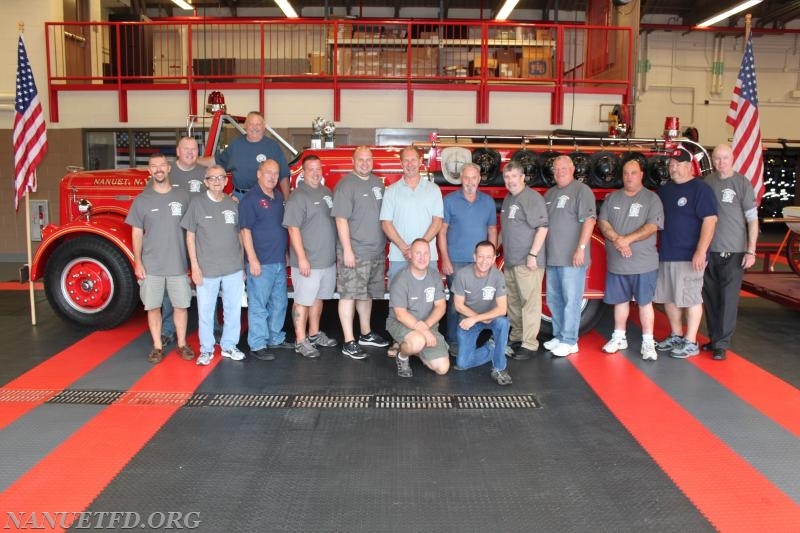 With a combined total of 1,581 years of service these men have dedicated to the community and fire department they deserve the thanks for paving the way for all the member's that have come after them. 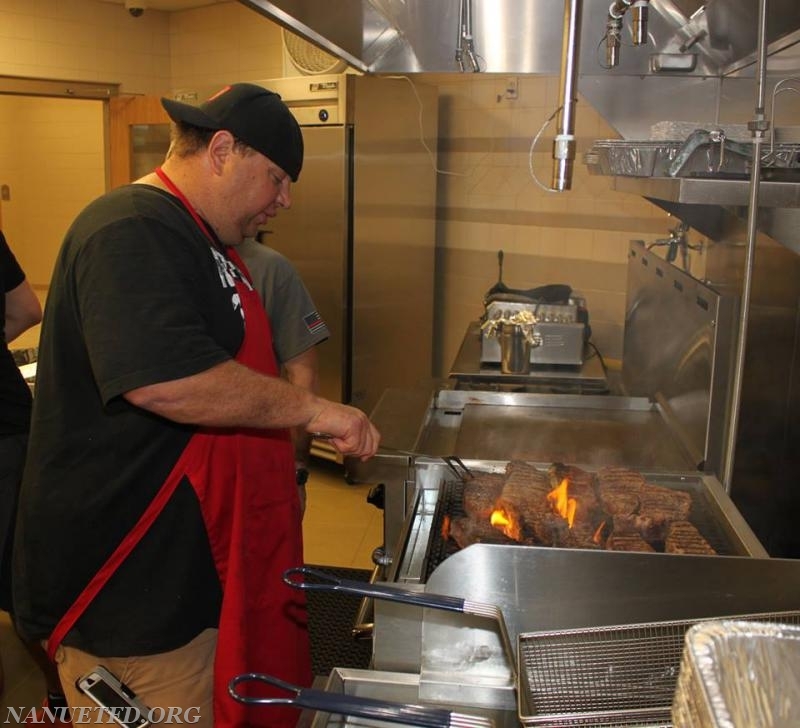 And for making the Nanuet Fire Department one of the greatest department's in Rockland County.